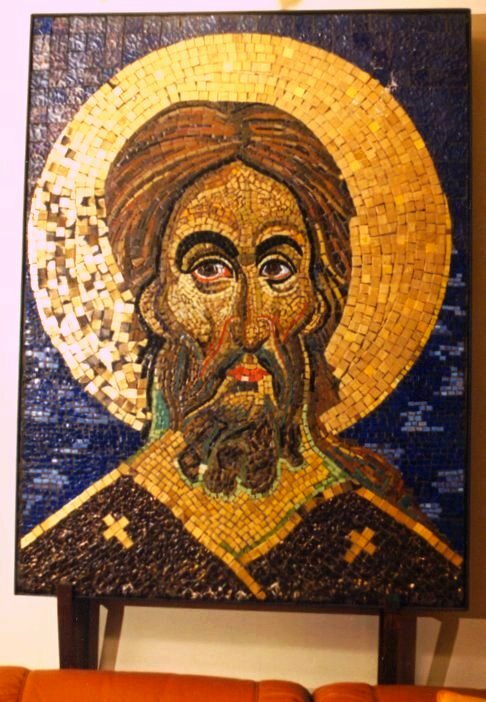 This page has originated for the purpose of presenting to you some of the mosaics that I have created. 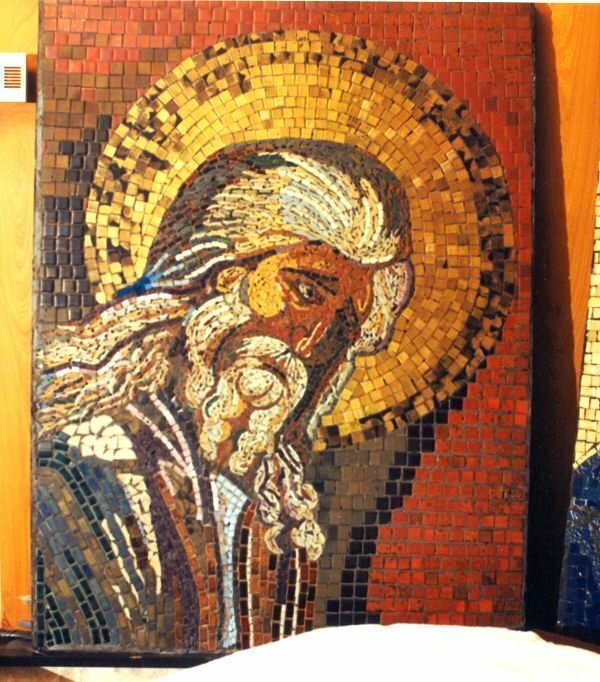 I have been enjoying the art of making mosaics for a number of years and I would gladly recommend it to everyone. I find it a devinely-inspired source of relaxation and an excellent opportunity for expressing one's creative energy. 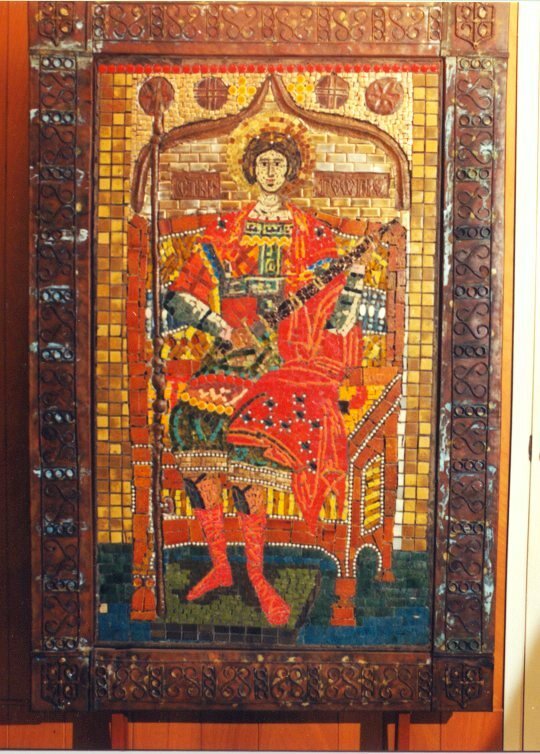 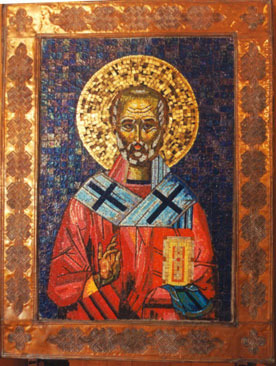 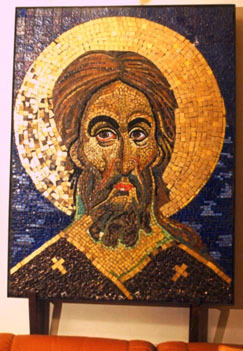 The technique that I use is the traditional Byzantine technique. The material used is known by its Greek name of 'tessera', or by its Italian name of 'smalti'. Mosaics presented on this page are all for sale. 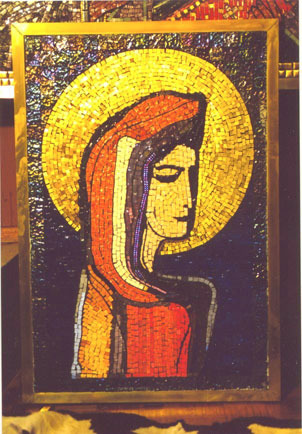 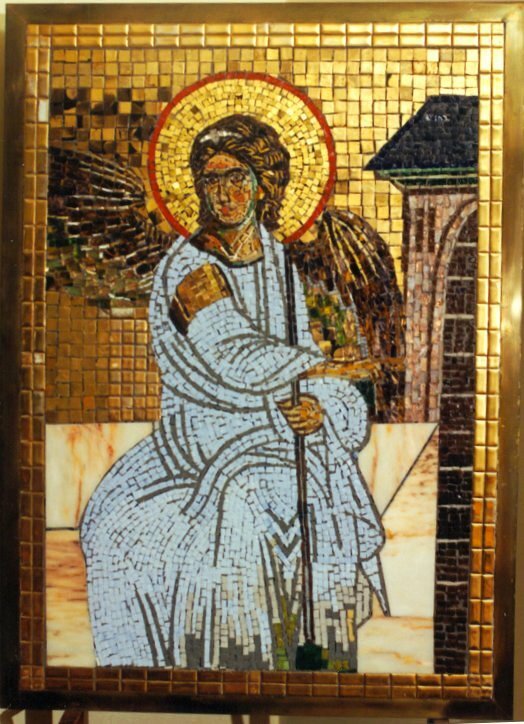 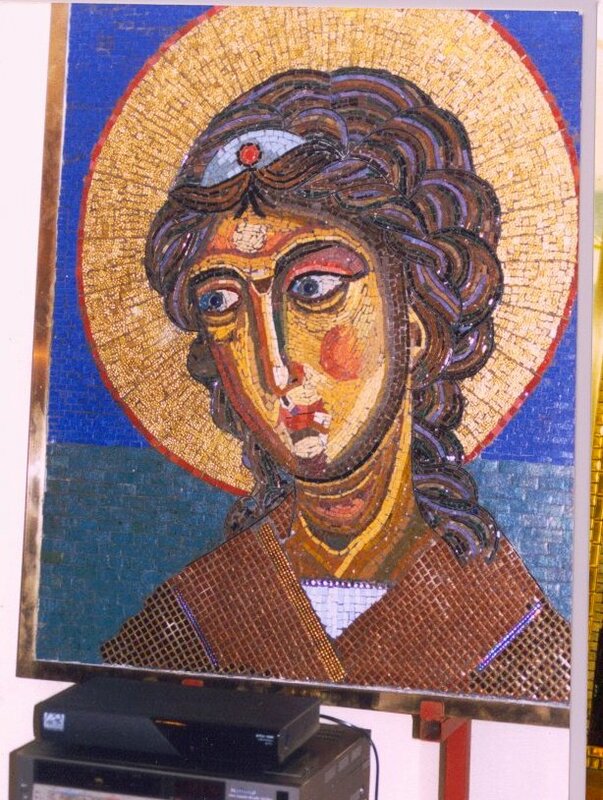 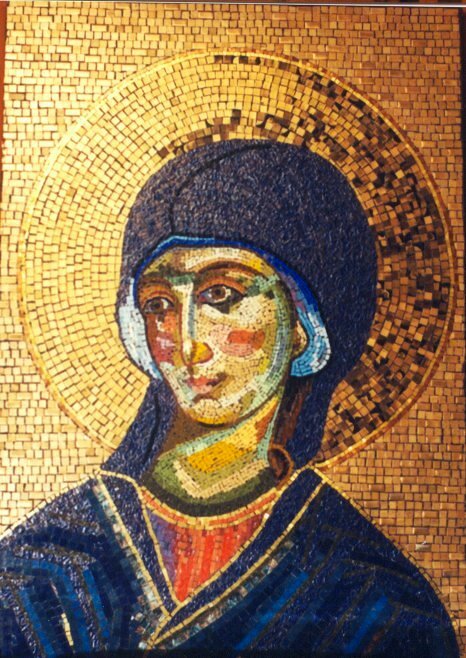 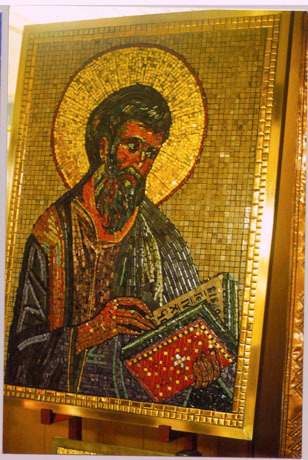 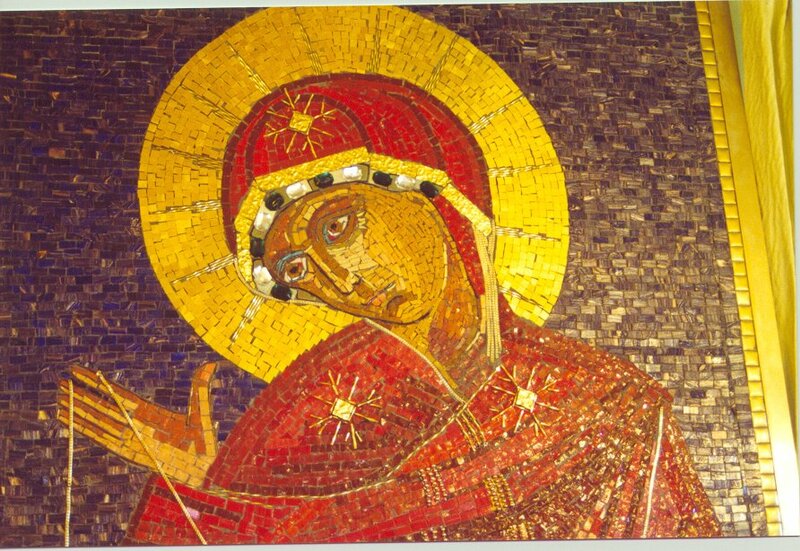 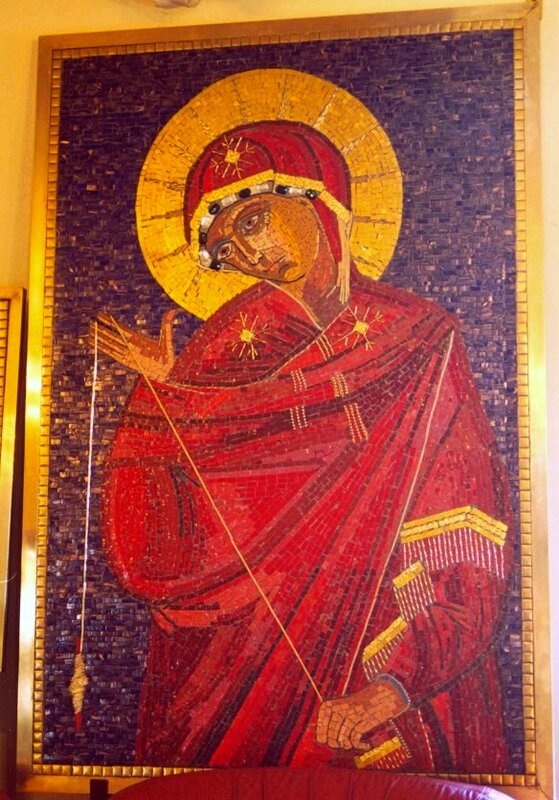 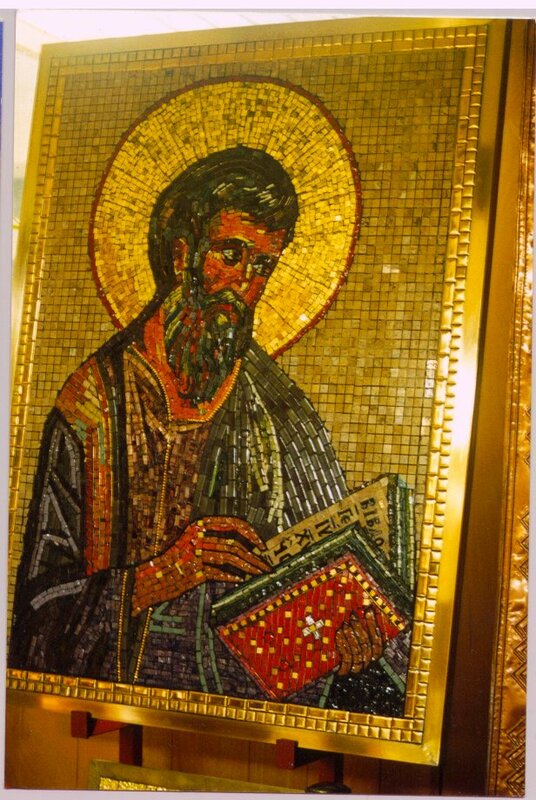 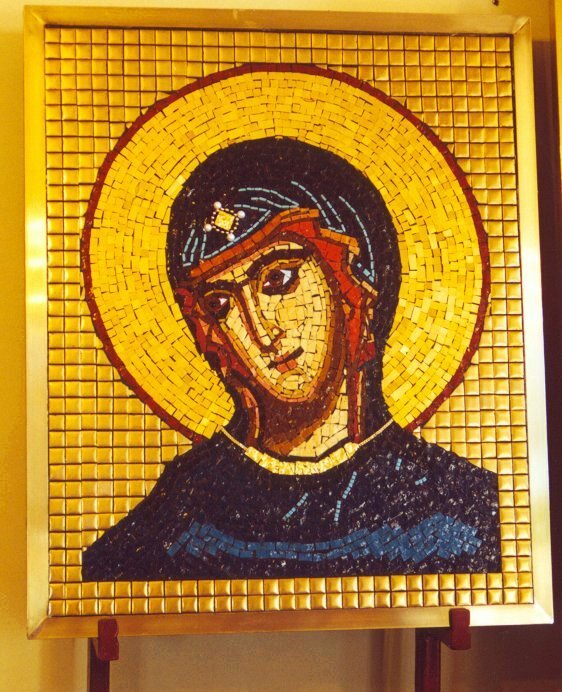 I have 27 religious mosaics in total and they are for sale as well. 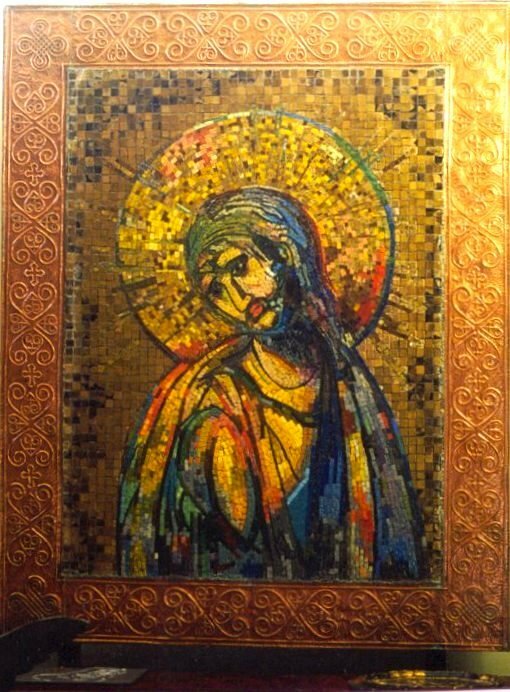 Collectors, churches, organisations or anyone else interested in art might be interested in purchasing. The following are photographs of some of my mosaics. 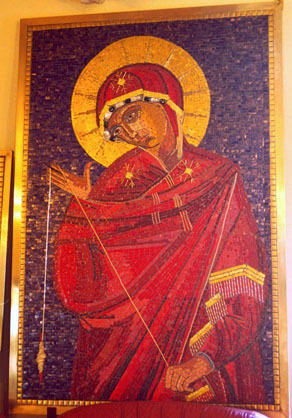 Click on each picture the see it enlarged. "MADONA" "Size:175cm x 118cm" "CHRIST" "Size: 162cm x 129cm"
"St.Nicholas" "Size: 203cm x 154cm" "St.Mathew" "Size: 130cm x 90cm"
Here is a small collection of interesting mosaic links. If you have any comments about my mosaics, if you are interested in buying one of them or if you would like more information, you can contact me via email: Dr. B. Maxim (bmaxim@bigpond.com.au).